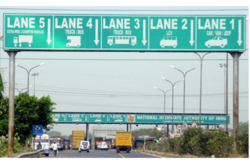 We are Leading manufacturer of Highway Sign Board in Delhi NCR. Highway Sign offered are made available in various sizes and finish specifications and are perfectly designed using finest quality raw material that makes it durable for outdoor usage. Featuring light weight finish, these can also be customized as demanded by the customers in different shapes, sizes, colors, design options. Color: Yellow/white /red/blue/green Visibility: read more..